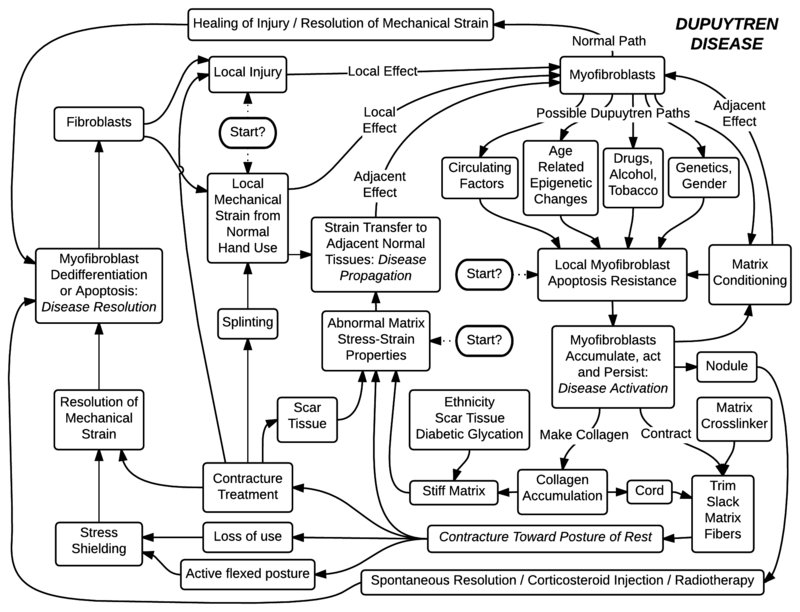 Dupuytren biology spans genes to cell-cell interactions to tissue biomechanics to clinical quality of life decisions. Every arrow, every box of this diagram is a world of its own. If your expertise is on this map, we should talk! 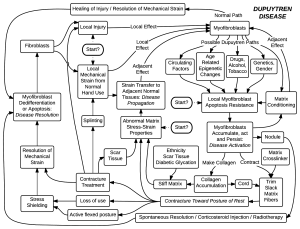 Contact the Dupuytren Research Group info@Dupuytrens.org or call 949-287-3387 to start the dialogue.